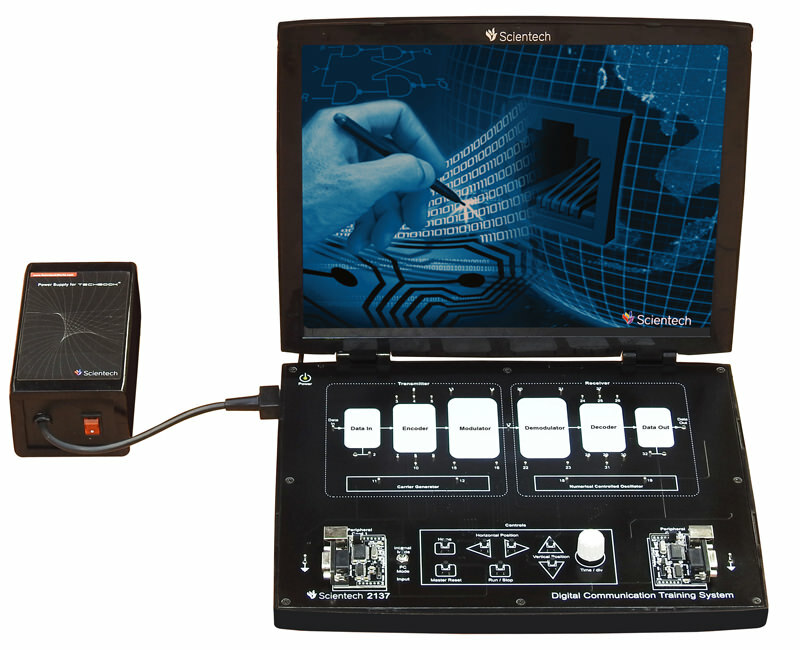 TechBook Scientech 2810 OFDM Modulator and Demodulator Training System Recently, a worldwide convergence has occurred for the use of Orthogonal Frequency Division Multiplexing (OFDM) as an emerging technology for high data rates. In particular, many wireless standards (Wi-Max, IEEE802.11a, LTE, DVB) have adopted the OFDM technology as a mean to increase dramatically future wireless communications. OFDM is a particular form of Multi-carrier transmission and is suited for frequency selective channels and high data rates. This technique transforms a frequency-selective wide-band channel into a group of non-selective narrowband channels, which makes it robust against large delay spreads by preserving orthogonality in the frequency domain. Moreover, the ingenious introduction of cyclic redundancy at the transmitter reduces the complexity to only FFT processing and one tap scalar equalization at the receiver. 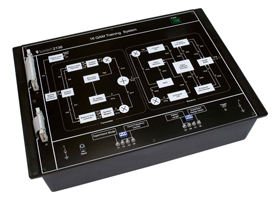 In this TechBook, we have focused on the practical learning and experimentation of OFDM with signal analysis at various stages. 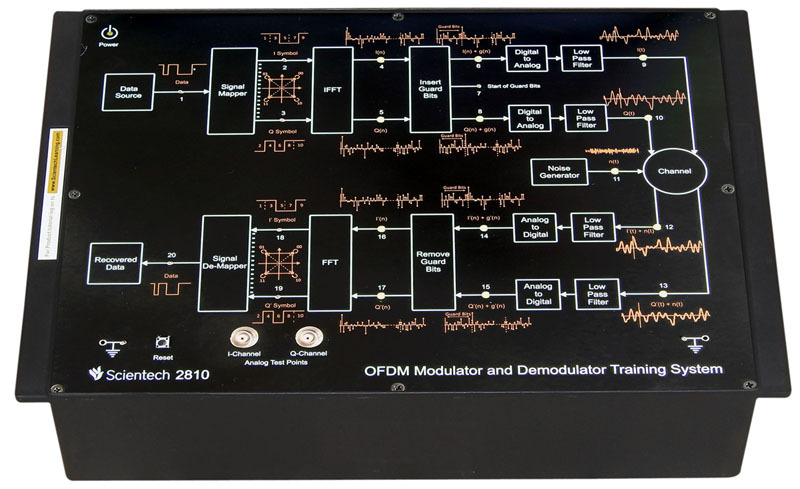 Scientech 2810, OFDM Modulator and Demodulator is an ideal teaching aid to enhance education, training, skills & development amongs our young minds. 64 point IFFT & FFT with Baseband QPSK modulation & Demoudulation Techniques. Built-in noise generator for analysis of noise gain on the signal. On-board BNC connector for OFDM baseband I-Q signal analysis on external DSO. OFDM Modulator and Demodulator Experimentation with and without noise gain. SIgnal Analysis at various stages like, Transmit data & Received data, IFFT & FFT, Symbol mapper & de-mapper per channel, and Cyclic prefix & its removal. Anti aliasing low pass filter with 3dB bandwidth of I & Q channel filter: Sallen Key 6-pole Butterworth. Block Level LED indication on TechBook.